The origin story of BibleMan is…vague. As the astoundingly annoying theme song tells us, he used to be rich and powerful. Eventually, he lost everything, which led him to somehow becoming a superhero with the help of Jesus. That doesn’t answer much about the laser sword, the armor, or the super-strength (?) that he apparently acquired, but we aren’t supposed to question anything during BibleMan. It all just is. There are a few regular villains and some rotating sidekicks that occasionally show up throughout the “BibleMan” series. In this episode, “Lead Us Not Into Temptation”, sidekicks BibleGirl and Cypher are both present, and the villain is a mostly forgettable regular who seems to use different aliases with each episode. There will be more on him later, though. 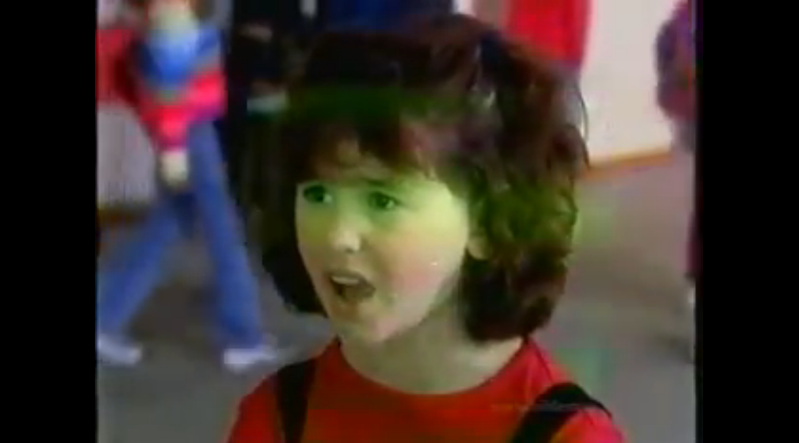 In “BibleMan: Lead Us Not Into Temptation”, the plot starts off as BibleMan tries to save a young, newly-converted Christian child by helping her overcome the bullying she faces from her non-Christian friends. Because, in our Christian-dominated society, that is totally a thing that actually happens. In any case, she becomes tempted by the evil magic of computers and the internet via peer pressure. Satanic forces take over her mind via the internet (a website called “Hackemup.com”) and try to make her to leave her new religion and hang out with her non-Christian bullies. It is…amazing. That sounds like they read the back of the box for Norton Antivirus, and figured that’s all they needed to know to write this episode about the evil internet. 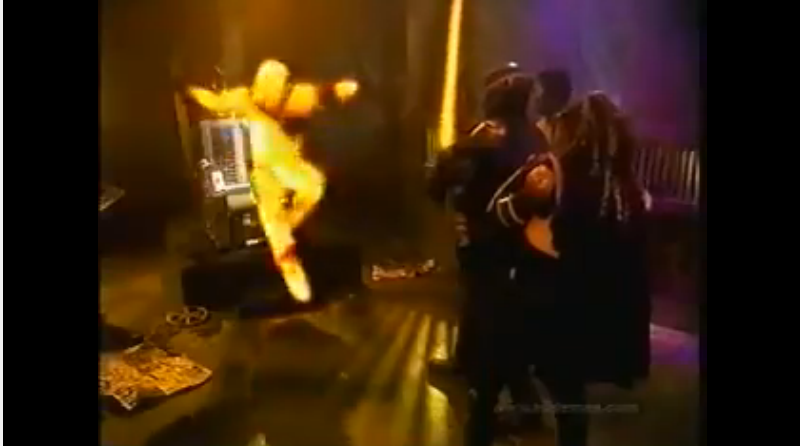 As you would expect with any BibleMan episode, the special effects are hilariously pathetic. None of the websites look like anything that is actually on the internet, and the sets are as colorfully cartoonish as ever. There are predictably a lot of lasers and vaguely technological effects going on, including a bizarre force-field effect used to indicate that someone’s mind is being controlled by satanic computer magic. As with a number of the BibleMan features I’ve seen, there are a lot of winks to the camera that are played off as gags in “Lead Us Not Into Temptation”. 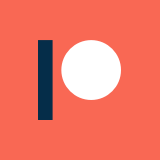 They are clearly aware of the low quality of what they are making, and I suppose they are trying to excuse it by not taking the project overly seriously. However, the jokes are never really funny (despite the attempts), and the offensive portrayals of non-Christians and the very intention of the film to evangelize to children aren’t lost just because they lazily break the fourth wall every now and then. I’m tempted (heh) to say that they would have been better off just accepting what they were doing and playing it straight, because the whole deal is almost guaranteed to be hilariously bad once completed no matter what. Worse yet, the same annoying, jarring jingle is used after every instance of fourth wall humor, which winds up just being grating after a while. BibleGirl: What can we do? BibleMan: Well, the Bible says that we shouldn’t worry about anything, but pray and ask God for anything you need. BibleGirl: I know this one! Phillipians 4:6! BibleMan: That’s right! Then, we need to find out who is really behind this website! Just to recap that dialogue, BibleMan says to pray about the issue and do nothing else. Then, he says to specifically do something about it. Was that scripture even sort of necessary or relevant there? Even better, the very next scene is BibleGirl spying on Cypher and reporting his activities to BibleMan, after which they confront him. Is that not the opposite of what he (and the bible) said to do? The villains of this episode are unfortunately not standouts in the series. Whereas many of the others are built on horrible stereotypes of scientists, jewish people, russians, etc; these villains are pretty run-of-the-mill cyborgs. I suppose that is because they were hackers? In any case, they don’t have any particularly memorable lines. However, they both manage to suffer pretty gruesome laser deaths at the hands of the Bible gang. If I recall correctly, that isn’t particularly unusual for BibleMan. They usually straight-up kill their antagonists, because that’s what children should be exposed to. The B-villain in this one even has a slow motion gun-drop as he is dying. I guess they want to get the point across that if you aren’t Christian or willing to convert, BibleMan may very well murder you with lasers. 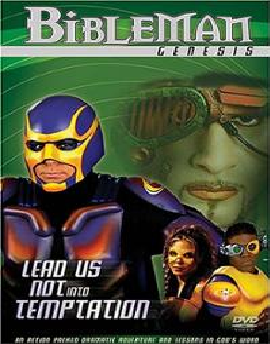 As you can probably gather without me stating it, there is a not-so-vague nefariousness to the BibleMan movies. They are clearly and unashamedly aimed at converting children (specifically younger than 9) into becoming Christian, and encourage the children to pressure their families into converting as well. Worse, the films actively and consistently disparage other religions and lifestyles to reach their ends. This episode in particular recommends that Christians (children and adults) should distance themselves from any non-Christian friends they have, and paints all non-Christians as evil, demonic, or bullies. It is beyond offensive, and is clearly trying to turn children into bigots at the earliest possible age. Even if all of the non-Christians in the episode were as horrible as they are depicted, the lesson should have been to not be friends with them because they are assholes, not because they aren’t Christian. I know some people who won’t watch these films because of how infuriating and offensive they are, but I still get a kick out of how colossally bad their film-making abilities are. These are certainly some of the most incompetent children’s videos out there, to the point that they make “3 Ninjas” movies look downright spectacular. In general, “Lead Us Not Into Temptation” I think is a pretty good introduction to the franchise for bad movie aficionados. This is one of the later ones, so the production value is a bit higher than you might expect. However, the computer / internet plot-line will have most nerds either rolling with laughter or tearing their hair out with frustration, which I suppose can be seen as good or bad. I do wish the villains were better in this one though, but that is a pretty minor gripe in the face of demonic computer magic. At least the bad guys get brutally murdered in the name of the lord! I highly recommend not paying money for a new copy, but these do show up in used bargain bins pretty often. That is where I usually get them myself, and going that route supports your local video stores and doesn’t support the “BibleMan” creators.